Zak McKracken is a classic adventure game released in 1988 by point and click pioneers Lucasfilm Games (later Lucas Arts). Though very humourous, the game has more to offer than funny lines. It's based on several myths and secrets from all across the globe (and space). You take control of "Zachary McKracken", reporter by trade, working for a newspaper in San Francisco. Well, sleazy tabloid would be the better words to describe his employer, and to make things worse Zak is having a nightmare of the strange kind. He is dreaming of aliens, an ancient map of earth, a strange machine-like device and a beautiful woman, who he happens to see on TV the next morning, and who he will meet in the course of his adventure. It soon turns out that Zak and his new found friends are the only ones who can save the world from an imminent alien invasion. The plot of the game skilfully uses several unsolved mysteries of popular science. While the core of the story builds on preastronautics, it also revolves around the extinct culture of the Incas, the mysteries of the pyramids and the Sphinx in Egypt, the unknown use of Stonehenge, the mystery of the Bermuda-triangle, El Astronauto, the myth of Atlantis and the alleged face on Mars. Due to these many influences the player gets to travel to many places across the globe and even gets to visit Mars. Besides these mystery elements the game also shines with great written dialouges, smart jokes and the absurd behaviour of the alien intruders. 1997, the world is as stupid as never before. Aliens have built a machine which, slowly but truly, dumbs down inteligence of mankind to the level of freshly baked bread. To make things worse, the only one who can stop the aliens evil plan is Zak McKracken, reporter of a sleazy tabloid, the National Inquisitor, who has to make up stories about flesh eating potatoes and vegetarian vampires. Aliens have taken over the phone company... A headline straight out of the National Inquisitor, you might think. While most people would write this off as a crazy editors fantasy, there are three people willing to help Zak on his journey: Annie Larris, head of the Historical society of San Francisco, and her friends Leslie Bennett and Melissa China, two Yale students who are on their way to Mars in their space-proofed van. They all must join forces to solve mysteries left by an ancient civilisation to expose the evil aliens and destroy their stupidity-machine. This is where you come in... You take control of Zak, Annie, Melissa and Leslie traveling all over the world and Mars to save mankind from being enslaved by the Caponians! 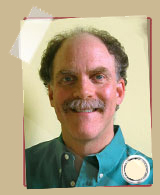 The mastermind behind "Zak McKracken and the Alien Mindbenders" is David Fox, former employee at Lucas Arts. Already involved in the development of "Maniac Mansion" Fox was lead designer on the next project and had full creative freedom. 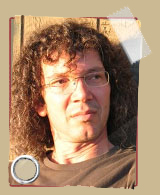 He came up with the idea for the 2D graphic adventure known as "Zak McKracken and the Alien Mindbenders." The team consisted of two scriptors, David Fox and Matthew Kane, the latter was also in charge of the score for the game. 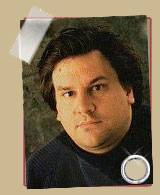 Ron Gilbert helping out with SCUMM™ system improvements as needed. The design of characters and settings was done by only a handful of people. First the game had a much more serious tone, but already had a lot of new age concepts in it. The game should deal with every spiritual or psychic mystery being explored at the time. During the development of the game the team decided to give the game more of a whacky direction by choosing a new name for the hero and making him work as a reporter at a sleazy tabloid. After spending months programming "Maniac Mansion" which took place in just one house, David Fox decided to travel the world and take Zak with him. 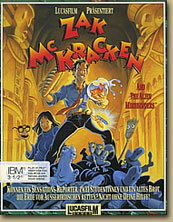 "Zak McKracken" takes place in a vast world with plenty of locations, unmatched by most other games at the time. The music in "Zak McKracken" was also setting new standards on the Commodore 64. Matthew Kane was able to use the C-64 as a synthesiser. This way he could arrange different sound tracks to play directly on the home computer. David and Matthew were working hard to sync the intro graphics with the musical score creating a timeless intro sequence. Zak McKracken is a reporter for the National Inquisitor making up outrageous stories or investigating odd incidents. Of course he would prefer writing a Pulitzer Price winning novel, so he keeps on begging his boss to relieve him of the burden of writing reports for "that sleezy tabloid". Zak is a lucky man once his boss tells him to write this one last story before he can start writing his novel… little did he know what he was about to stumble across. Annie is the head of the Historical society of San Francisco. Ever since she and her friends received weird dream messages, warning them about the Caponians, Aliens who are about to stupidify mankind, they are eager to prevent this from happening. Annie’s job is to find artifacts for an ancient machine, which shall stop the evil Caponians. To achieve this goal she is doing TV interviews in which she asks all fellow earthlings for help. While their friend Annie is looking for help back on Earth, Melissa and Leslie are on their way to Mars to solve some mysteries. Who sent them these strange dream messages and why? Why are there giant buildings on Mars? What are the evil Caponians doing on Earth? Space travelling with their space-proofed van they are on their way to Mars where important information and strange alien life forms are waiting for them.